Sometimes moms need a cheering section to get them up and running. That&apos;s where Baby Boot Camp comes in. Founded by Kristen Horler (mom and entrepreneur) Baby Boot Camp is a workout that allows mom to bring baby along and get a terrific total body workout. Horler started the company in 2001 soon after the birth of her first child. A lifelong fitness buff and personal trainer, she was disappointed in the offerings for new moms. Gyms were expensive and the childcare inept or nonexistent. She came up with an innovative stroller workout that&apos;s budget friendly. Horler says, "After having a baby many women feel they are in the worst shape of their lives. This may be a time when they need a personal trainer more than ever, but that&apos;s often a problem if their income goes from 2 to 1." Each Baby Boot Camp workout is led by a nationally certified personal trainer or group exercise instructor. The sessions are held indoor and outdoors. They last from 55-75 minutes. Bring along your jogging stroller and get ready to sweat. Classes involve interval training which combines power walking, jogging and strength training (especially those flabby triceps). Yoga mats are used at the end of session for abdominal exercises and stretching. Classes are offered across the country for different fitness levels. Prices range from $4-15 per class (very affordable) and classes never get bigger than 15--so you&apos;ll get plenty of personal attention. Don&apos;t worry about your child getting fussy or bored--Moms are the entertainment. The kids are always involved and the moms are constantly moving to keep things interesting. While she doesn&apos;t require moms to buy top of the line strollers, the more serious athletes may want a jogging stroller as their workouts progress. Horler spent more than two years tsting strollers before selecting Kelty as the official stroller of Baby Boot Camp. 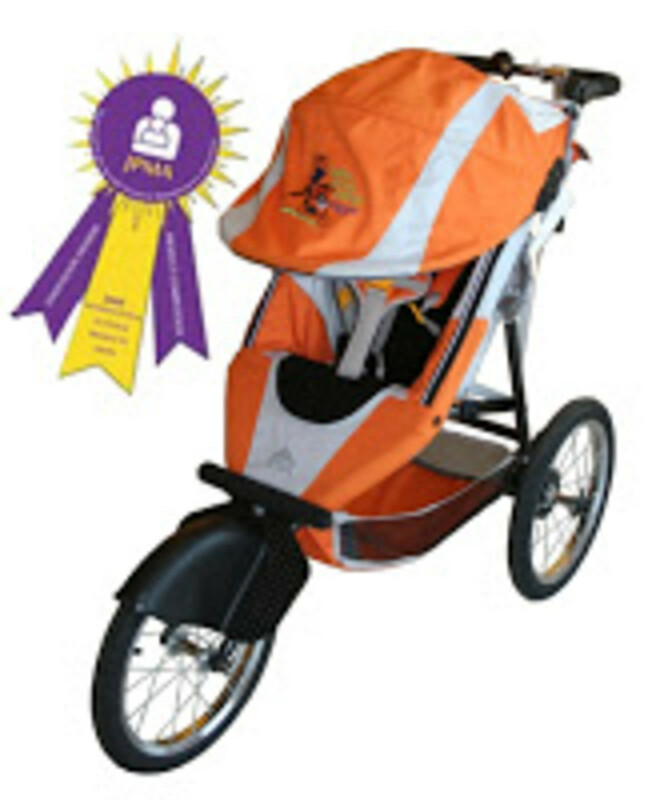 The Baby Boot Camp jogging stroller by Kelty is now avaialble online and includes a fitness pack (xertubes, tee and water bottle). $335. If there isn&apos;t a Baby Boot Camp near you, you&apos;ll have to be a bit patient. Horler has a book in the works. Her advice until then: "There are plenty of opportunities to incorporate fitness into your lifestyle." Horler suggests taking the stairs whenever possible, opting for the parking spot furthest away form the grocery store and working in pushups to your daily routine.